If you are long term disabled from serious injuries or from severe illness, you need a NH Social Security lawyer with the experience to make the difference for you and your family. The Law Offices of Russell J. Goldsmith has been there to assist Portsmouth’s disabled for the last 29 years, providing you with the zealous representation you need when you’re feeling stressed and overwhelmed by the Social Security disability process. We understand you’ve worked hard to provide for your family and, in the process, you have contributed Social Security disability taxes for insurance that is meant to cover you when you remain long-term disabled from being able to work. Unfortunately, the disability determination process is not a perfect one and the Social Security Administration many times gets it wrong, denying those that rightfully should be receiving these vital benefits. Attorney Russell Goldsmith has the knowledge and experience you need to ensure that all of the evidence necessary to win your case is brought to the attention of those deciding your claim. Our office is expert in utilizing the various procedures available in support of your claim to ensure you every advantage throughout your disability claims process. We work tirelessly to ensure that you are provided with the best chance of winning your claim. 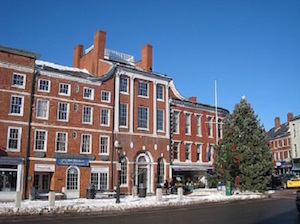 Whether you need to file a new claim or an appeal (of an initial denial, reconsideration denial or administrative law judge denial), the Law Offices of Russell J. Goldsmith out of the Portsmouth, New Hampshire area (located conveniently in York, Maine) is there to provide you with the guidance and assistance you need to make it through this very technical and complex process. We’ll work hard to ensure that you receive the compensation you deserve. When hiring a lawyer, knowledge and experience is power. For 29 years, we’ve been assisting New Hampshire’s disabled Social Security’s claims and appeals processes. The Social Security disability application process can be frustrating and confusing to those who are not expert in this area of the law. By contacting us early on in the process, we’ll be able to assist you with this process and, by doing so, provide you with your best chance of avoiding what can be a year-long appeals process. Let us work with you to ensure everything possible is done to put your best foot forward and hopefully avoid the need to request a hearing before an Administrative Law Judge (which would be the next stage in the process). When you do have to come to us as a result of a prior denial of your claim, we help save you both the time and unnecessary stress with the appeal (request for hearing) process. We’ll work with you and your medical providers to ensure the necessary evidence is brought to the attention of the Administrative Law Judge who will be hearing your case. Well in advance of any scheduled hearing, we’ll filing a detailed argument brief in support of your case (requesting that the judge provide you with a favorable decision prior to your need to proceed to hearing). Whether we’re working with you on the filing of your initial claim or on the filing a recent denial, you can trust Attorney Russell Goldsmith and the Law Offices of Russell J. Goldsmith to provide you with the personal and aggressive representation you deserve from one of the best Social Security lawyers in New England: in this way you will assure yourself of the best legal outcome possible. Each case requires its own individual approach, as each of our clients brings their own personal story to our door. As you will likewise notice, while we work as a team within the office, Attorney Russell Goldsmith remains personally responsible and involved in each and every case. He will help troubleshoot your concerns and will be holding your hand should your case ultimately need to go to hearing. With this comes the confidence that your case will truly be taken care of by a professional who handles all such claims on a contingent basis. This means we don’t collect a fee unless and until you win your case. York, ME 03909 Call now at 800-773-8622 for a free consultation.